The first episode of Atlanta introduces us to Earnest Marks (Donald Glover), his ex-girlfriend (Zazie Beetz) and daughter, and his cousin Alfred (Brian Tyree Henry). Stuck in a series of dead-end jobs and schemes which have failed to pay-off, Earn gets the idea to attach himself to Alfred's aspiring music career as the rapper's new manager. Of course to do so he'll have to get around his shifty reputation which even his parents admit is his defining characteristic. 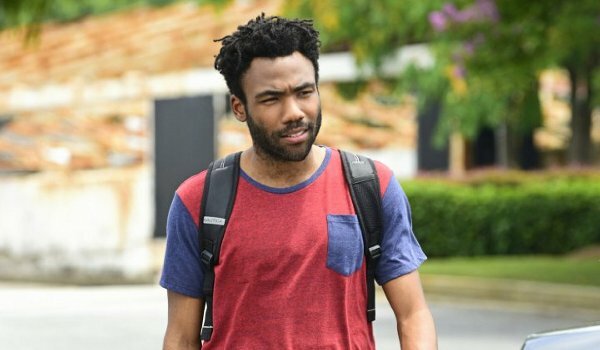 Like is the case without almost all new series, the first episode of Atlanta is rough in spots. Without a truly likable character, the show is forced to make the story strong enough to carry the episode. While entertaining, Glover is at his strongest when other people are reacting to his character's flaws. I don't know that I ever quite buy Alfred as a rap star, but his song is just catchy enough to understand why he might believe stardom is just around the corner. And Lakeith Stanfield steals several scenes as Alfred's pal Darius who is either constantly high, a complete moron, or (likely) both. Fun, odd, and more than a little off-putting, "The Big Bang" is an interesting first episode which entertained me even if it didn't sell me on the series just yet.